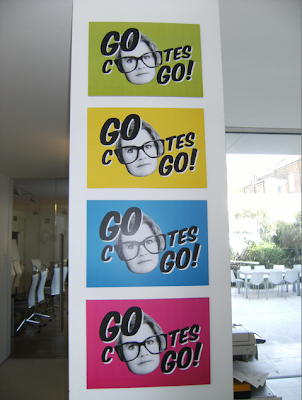 Karmarama Stories: Go Cootes Go! It's marathon weekend and our very own Hiliary (Cootes) has been eating up the concrete of Richmond Park for the past few months in preparation for the big day. As a previous New Zealand Under 9's high hurdles champion expectations here at Karmarama are high and come Sunday we're all heading down to cheer our Kiwi on to the finish line. And to show our support and make sure she spots us at the 24 mile mark (which is highly unlikely!) the Lastminute.com team have decided to replicate her now famous look. Gemma, Hils, Lisa, Jamie and Pete donning official Go Cootes Go! eyewear and supporters T-shirts. 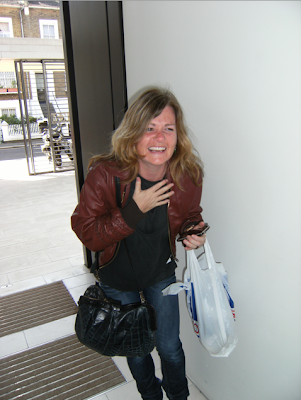 ...The reaction this morning on seeing the Go Cootes Go! campaign go live.